Emory OTT answers the question, "What is Technology Transfer?" Christopher Yochim has global responsibility to drive awareness of AstraZeneca’s areas of partnering interest, with the goal of establishing AstraZeneca as a preferred partner within the biotechnology sector, venture capital and academic community. Through global integration, AstraZeneca has established a leading edge capability in licensing, mergers & acquisition, and strategic collaboration. Yochim has 19 years experience conducting technology transfer and academic relations at the North America Headquarters in Wilmington, Delaware. 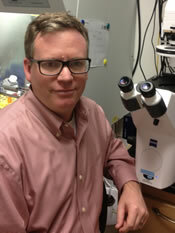 He is a founding member and chairman of the Board of the Delaware Bioscience Association. He is a former member of the Executive Committee of the Board of Trustees of the Association of University Technology Managers (AUTM) and served as vice president for the Eastern US Region (2006-2007). 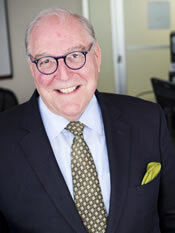 Locally, he currently serves on the Board of Directors of PABio and The Japan America Society of Greater Philadelphia. Following undergraduate education at Loyola University in New Orleans, Yochim graduated from Millsaps College in Jackson Miss. 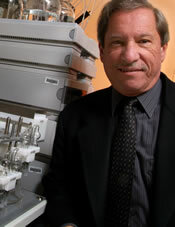 He joined the cardio-renal pharmacology department of ICI/Zeneca Pharmaceuticals in 1980. During 15 years in drug discovery research, he contributed to the development of numerous marketed therapeutic products, including treatments for high blood pressure, asthma and schizophrenia. WHEN: Thursday, March 6, 2014, 4:30 p.m.
Neurotrack is an early-stage company that has developed computer-based tools for memory testing and behavioral assessment. The tools identify those at risk of Alzheimer’s disease or mild cognitive impairment well in advance of clinical disease diagnoses. QUE Oncology, headquartered in Atlanta, is focused on the development of drugs to treat cancer and its consequences. As a joint venture between Emory University and UniQuest (Queensland, Australia), QUE Oncology has licensed two technologies from Emory, one that targets prostate cancer and one that targets breast cancer risk and hot flashes associated with estrogen hormone therapy. RSV (respiratory syncytial virus) is a major cause of lower respiratory tract infections in infants, children and the elderly. Vaccine development has been challenging and currently no RSV vaccine exists. Dr. Moore and his colleagues have used an alternative strategy to develop a vaccine focused on mutating certain genes of the virus to create a stable, live-attenuated RSV strain. This new recombinant RSV strain serves as a promising vaccine candidate currently being tested against RSV. The Emory OTT maintains a robust product pipeline, with one of the nation’s leading programs for guiding technology developed in the laboratory through the patenting and licensing process to the marketplace and into the hands of consumers and patients.